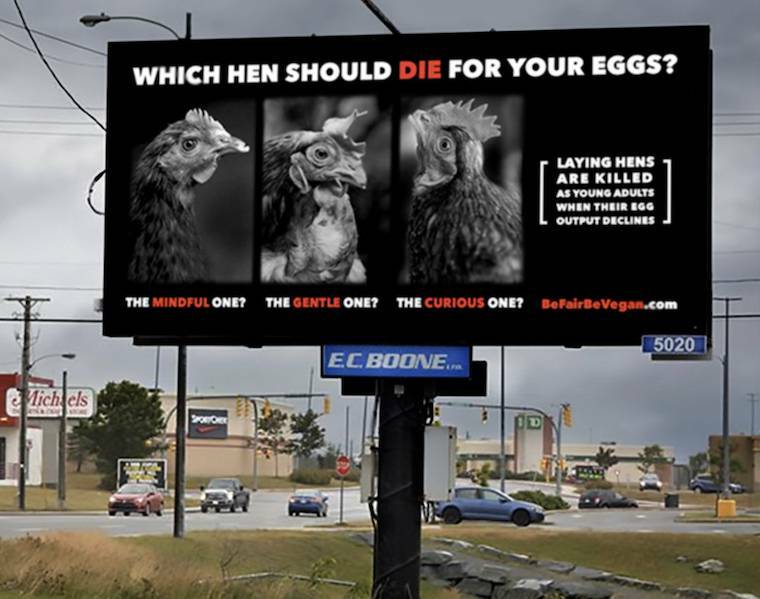 Starting on August 1st, 2018, St John's became the seventh city to host the BeFairBeVegan billboards, challenging both residents and summer visitors to rethink their consumer choices and consider the consequences of using animal-based products. 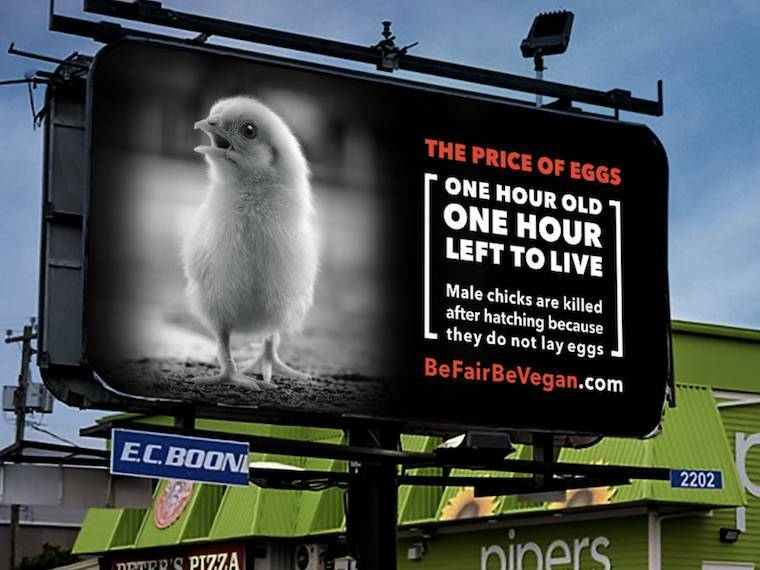 If you wish to help with the Be Fair Be Vegan campaign, your contribution will be gratefully received. Thank You!